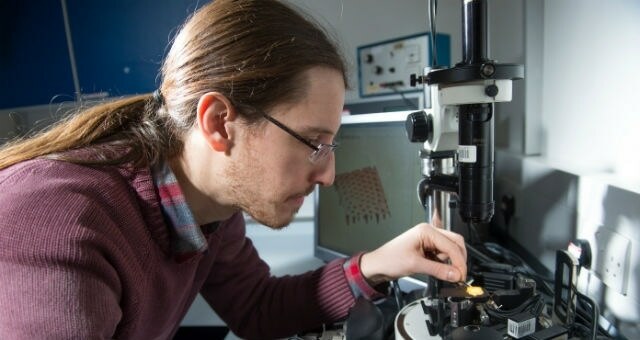 New research published today in the journal Physical Review Letters has described a new physical mechanism that separates particles according to their size during the drying of wet coatings. The discovery could help improve the performance of a wide variety of everyday goods, from paint to sunscreen. Researchers from the University of Surrey in collaboration with the Université Claude Bernard, Lyon used computer simulation and materials experiments to show how when coatings with different sized particles, such as paints dry, the coating spontaneously forms two layers. This mechanism can be used to control the properties at the top and bottom of coatings independently, which could help increase performance of coatings across industries as diverse as beauty and pharmaceuticals. The funding for this work comes from the EU project BARRIERPLUS, which aims at the reduction of environmentally damaging volatile organic compounds in paints.